After leaving Bingara, we continued down the Fossickers Way to Tamworth, and Spotlight – well, they had batting at a half price sale. 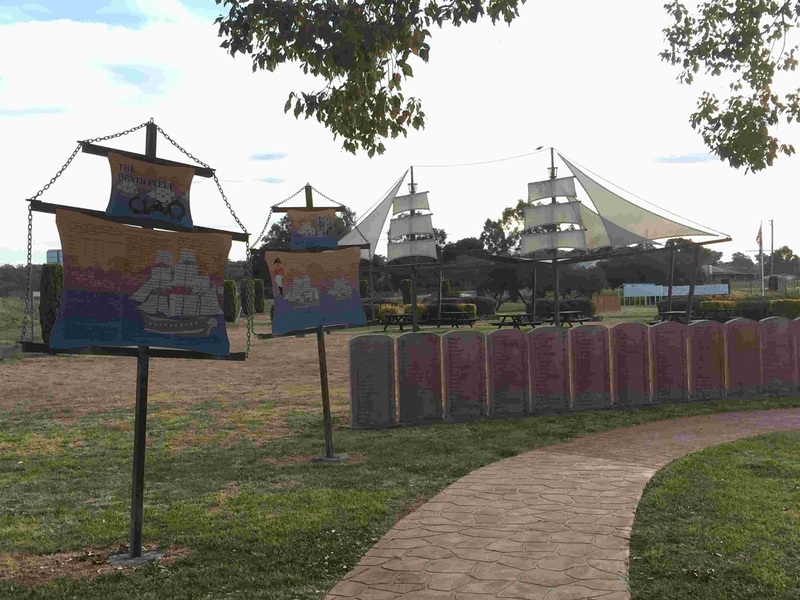 We had some lunch and then drove a further 54km to Wallabadah First Fleet Memorial Gardens. There were already a few vans there so we couldn't get beside the river. We found a level spot, paid our $10 donation, had a walk around the gardens and was attacked by the local magpie. We wondered why the memorial was so far away from where the First Fleet landed. Apparently it was the idea of a First Fleet descendant who lives in the area and is supported by donations. 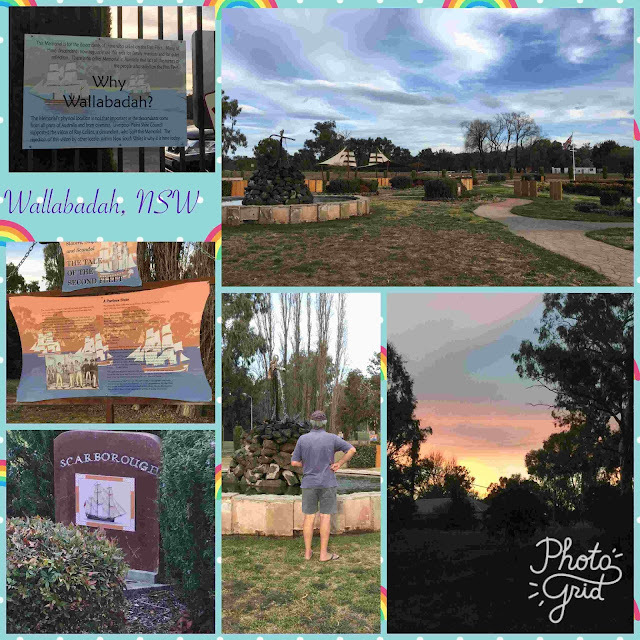 We stayed one night and decided to spend the next two nights in Cessnock, in the heart of the Hunter Valley. 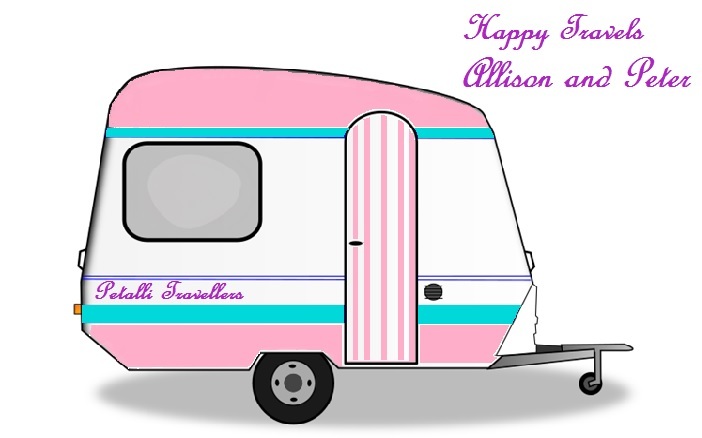 We set up in the Cessnock Showgrounds and headed to get some groceries. 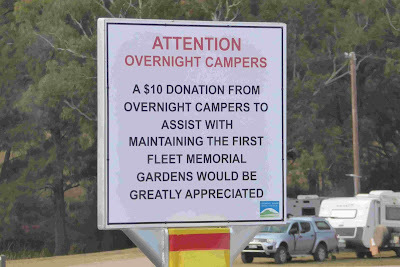 We stayed here in the showgrounds last January, in hot 40+degree temperatures, and bush fires. This time it was bush fires plaguing the area, and many areas around N.S.W. We did see some smoke in the far distance. 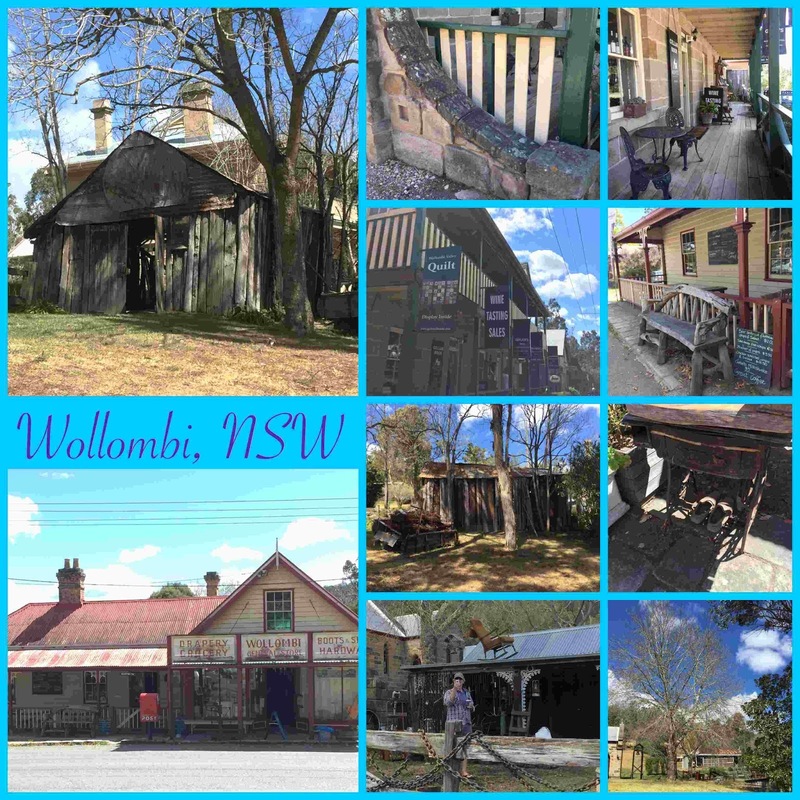 The following day we headed 30 kms to the historic town of Wollombi. 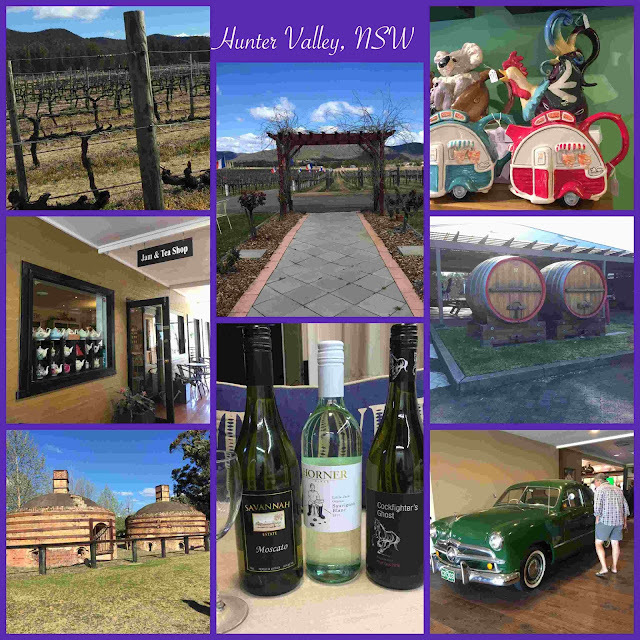 Last January we didn't have time to explore the village, but on this day the aim was a walk around Wollombi and buying some nice Hunter Valley wine for my Auntie's 80th birthday party. 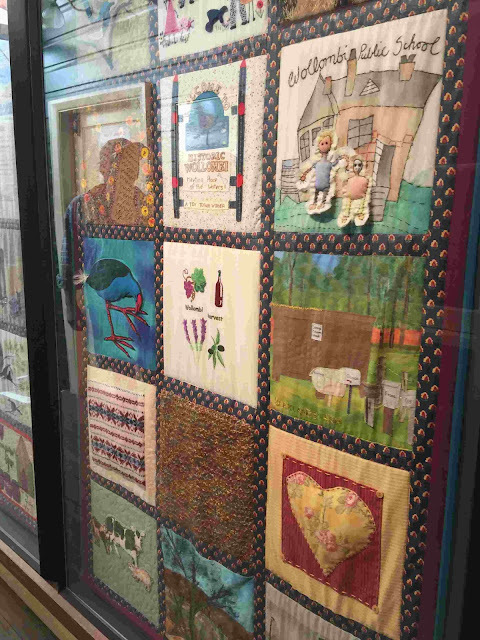 A local winery in the main street of Wollombi had a centenary quilt on display - bonus! 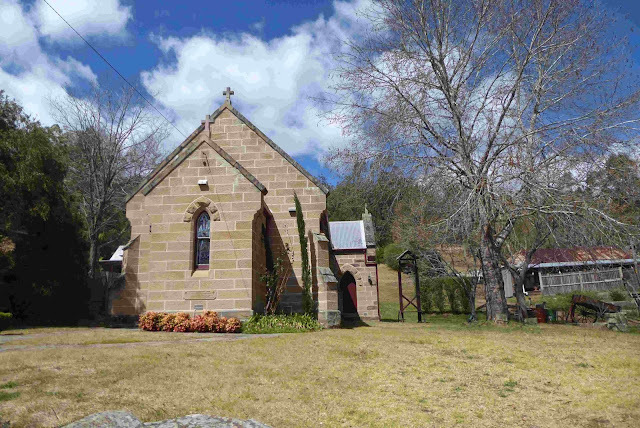 Wollombi has many early sandstone buildings. The towns name is said to be an Aboriginal name meaning meeting place, or meeting of the waters. There are a number of Aboriginal sites in the area, but most are not marked or sign-posted. We only found two markers and both were a general 'indigenous lived in this area'. The development of Wollombi is linked with the construction of the Great North Road from Sydney by convict labour, including my ancestor Isaac Perrett. 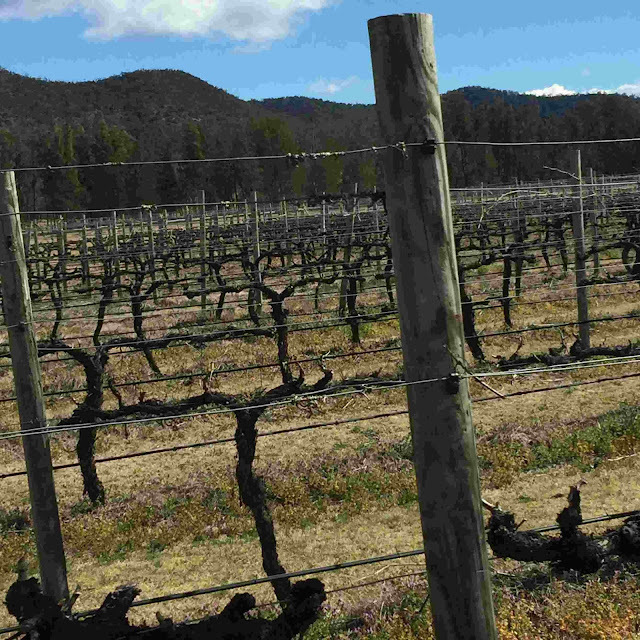 It was at Wollombi that the road continued on to Patrick's Plains – now Singleton, and branched to the north-east to Maitland and later joined to the Newcastle road. 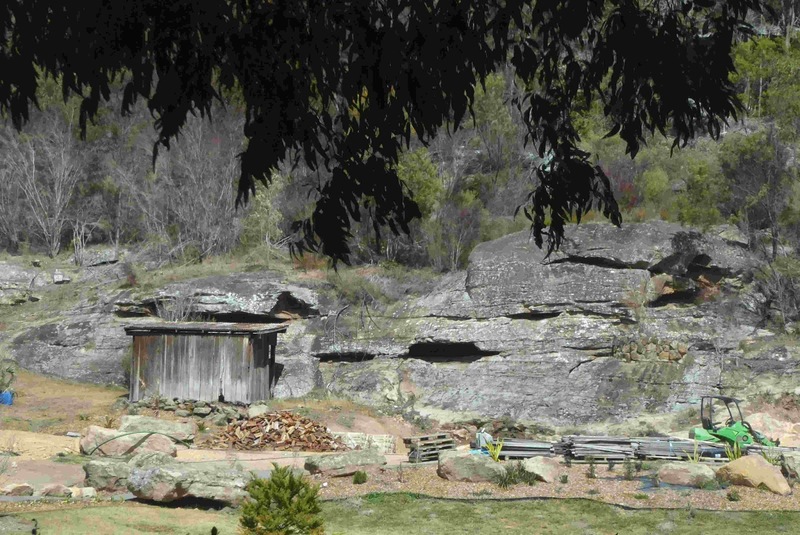 There are many small caves on the sides of the road that were used as shealters to both the local aborigines and the convict workers. The road was started in 1826 and completed in 1831. There are bridges and walls still remaining from the convict times, but again lack of signage meant that we could not find any. Some of the land was granted before the road was built, but after 1830 many more acres were granted. The village of Wollombi was set aside in 1833 to serve the travelling public along the Great North Road. 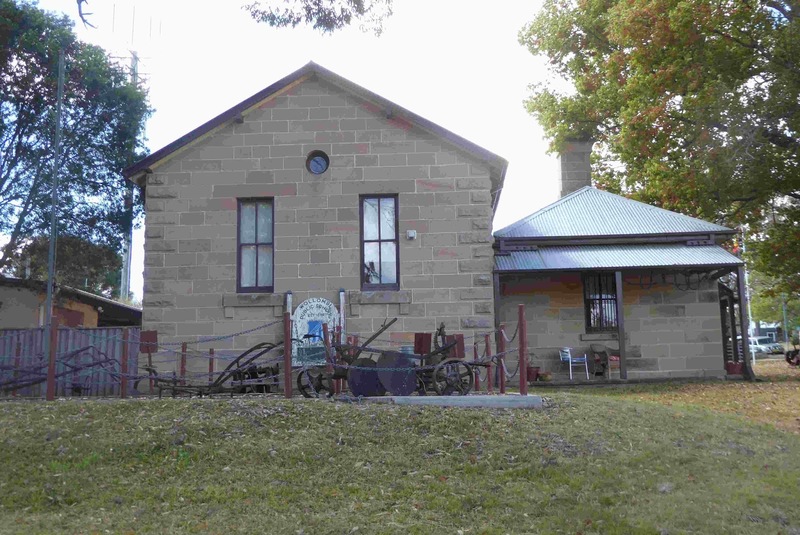 The first inn in Wollombi was the Governor Gipps in 1840. George Gipps was the Governor of the Colony from 1838-1846. St Michaels Roman Catholic Church was built in 1840, and was moved to its current site after the 1893 floods. The police station and courthouse were built about 1866 and today are used as a museum. We visited a few wineries and a micro-brewery before heading back to the van for the night. A lovely area, the Hunter. 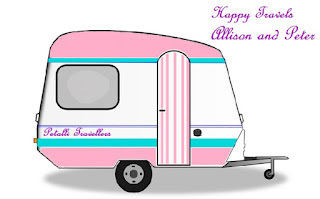 It's always such a delight to find a quilt on one's travels!